- Each time key is pressed, units digit, ten digit, hundreds digit, etc. of number are displayed in sequence in display window. - Each time key is pressed a "Beep beep" sound is generated. - Loud "Beep beep" sound is generated upon completion of heating process. 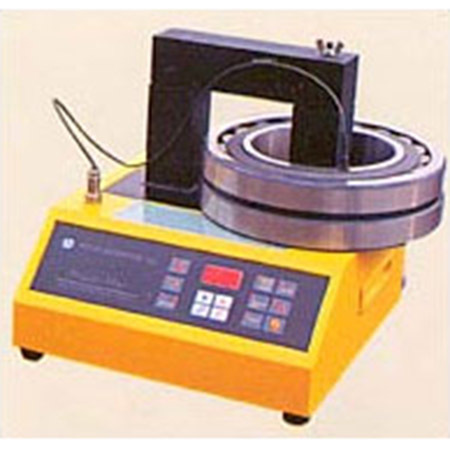 • Because only the machine tools are heated with the induction heating system, the machine can be operated completely safely, with no danger of causing fire or burns. • Because the machine is computer controlled, repairs are easy. • No application of external force is required for bearing insertion. • Being of small size, machine can be moved easily. • Because machine has built-in overheat prevention circuitry, power is automatically cut off if the machine becomes overheated.